Description: White Olympic flag, size 24 x 14 cm. Grey marble pedestal with text in gold: XV 1952 HELSINKI. Metal flagpole. 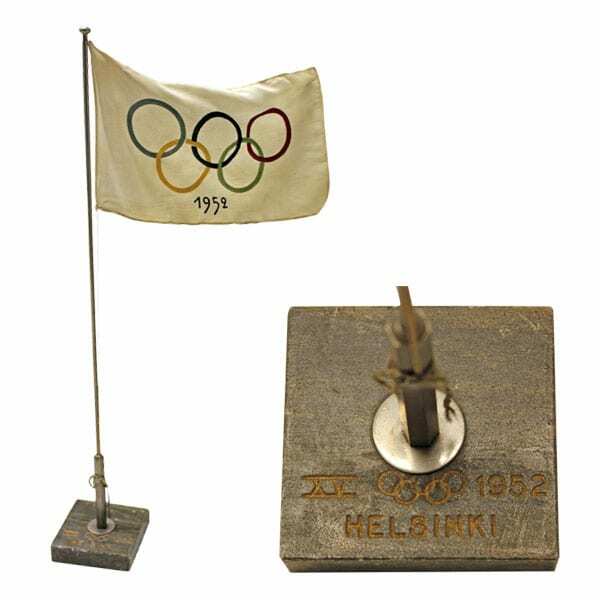 The flag is white, featuring the Olympic rings and the year 1952. The colours are faded, the white field turning to yellow.